I went down to attend this morning at 1030, just to see what is going on. It was a Press event but I introduced myself as a local blogger to the person doing the vetting. Then we had to go back outside to enjoy the brisk wind. I was standing there with Lara Bricker and some other guy just yapping about the theater. Then I looked around and decided not to attend the news conference. It was just a feeling . I guess I asked myself “why are you here? I had no answer. The new effort has a web site( no content) and all present on the sidewalk seemed full of enthusiasm. I like the IOKA and the ability to pop down for a show, it’s nice. 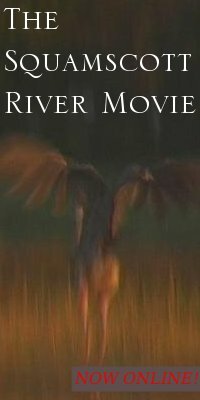 I worked with Kyle Glowacky on the Squamscott River Film . I understand his youthful passion for the IOKA, his love of film. I hope the new fund raising team will include him in their efforts. I just wish it was a clean deal, a guy with deep pockets that simply runs it as a movie house. The Music Hall comparison is without merit in my opinion. We put another Netflix in the mailbox this morning, as we do most mornings. The guy across the street has a TV that if I had speaker I could watch it. There are tons of choices for film, and venues throughout the Seacoast and Newburyport. We have at the new High School a state of the art theater facility. The Middle School also has a nice theater. I am speaking here of theater productions. I had a grand tour of the IOKA from the roof to the basement. There are significant and perhaps impossible renovations to make it possible to stage theater. Joe Pace was there today. He is working now at UNH trying to solicit Corporate Donations for the University. It is a tough slog I am sure. In NH we spend more on prisons than higher education. 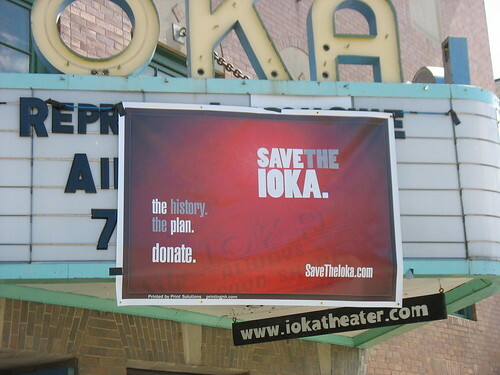 It is that atmosphere that makes me wonder if we “should” be saving the IOKA. I would caution fundraisers about fervor , it can be a huge turnoff. I guess we have now till July to see if this latest gambit pays off. Oh by the way , my donation will be forthcoming when they drop the Stooge Fest. The Marx Bros would be so much more entertaining. Next Yes, I love the Flag!